JA Sensei version 5 was released a couple of days ago, and brings tons of new features. This work kept me busy during most of the summertime, so I do hope it will help you make it always easier to learn Japanese. And of course, it's not over, I'll go on making the application always better. Brand new and free module! ALL vocabulary from the Aural Comprehension module added, grouped by level (easy, medium, hard). 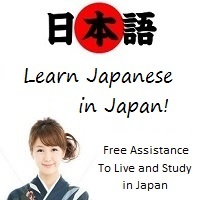 Discover or rediscover JA Sensei on Google Play ! @Administrator I see, i know you do what you do for a reason and it's always the best, if you think so. The app is great because you know how to do good apps and good content, so i'm always relaxed because i know it's always the best decision. For me it's a bit of a shame but i understand and appreciate the constant updates! The price for the app was minimal considering the updates and the amount of content, hope you have a great day and good week! @Legendofkill24: I understand some people prefer the older style. But flat icons are the current modern style and many people already told me that the app looked old-fashioned because of that. But the real reason I integrated the flat icons, is that they are vector graphics, and they take up very little space on the disk. It means that I could integrate more Japanese data in the app without making the application bigger in term of disk occupation. So it was really necessary to change them sooner or later. At last, as a developer, I have to follow Google's recommendations, and they want to harmonize apps on the store with their "Material" design. I like the features but i prefer the older icons, they feel cozier and all. Also, i prefer the way kanji readings were shown previously. All in all a great update, keep it up.